The last couple of months have been incredibly grey and wet and so far January seems to be more of the same. Despite this the new year always brings an air of excitement at the potential the coming year can bring. At this time of year, even with all the crappy greyness, there's always something beautiful about it. This is a fairly picture heavy post as I'm still trying to get myself back into the blogging game after having some time off. 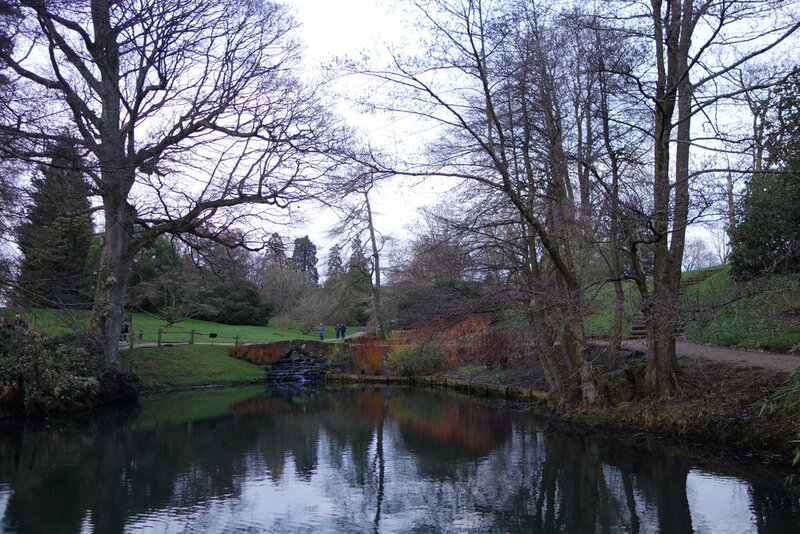 We ended up visiting Kew Gardens at Wakehurst Place in Sussex over the Christmas break and despite how grey and rainy the day had been the gardens were still lovely. Robert had never been before so we took him for a brief walk around the gardens before heading to the cafe for a hot drink to warm up. By the time we were finished the sky had got very dark and inky which meant the Christmas tree, which is the largest planted in England, was beautifully lit up. We'd spent the morning shopping in Guildford so it had been a pretty busy day which we finished off with pulled pork (which Robert had made and was delicious) in brioche buns with homemade apple sauce and coleslaw whilst we watched The Martian. YUM. Also that film was so so good and I wish we had managed to catch it at the cinema as I bet it was amazing on the big screen. The soundtrack for the film was also great and one i'm planning on downloading for New Year gym sessions! Despite having almost two weeks off work over Christmas I still feel totally exhausted and am definitely not ready to go back to work on Wednesday but at the same time I'm looking forward to the challenges of the new year and booking in lots of fun things to do and holidays to plan. I've not exactly made any New Years Resolutions but i've been thinking of certain goals and aims that I want to try to accomplish this year, but that's for another post altogether.